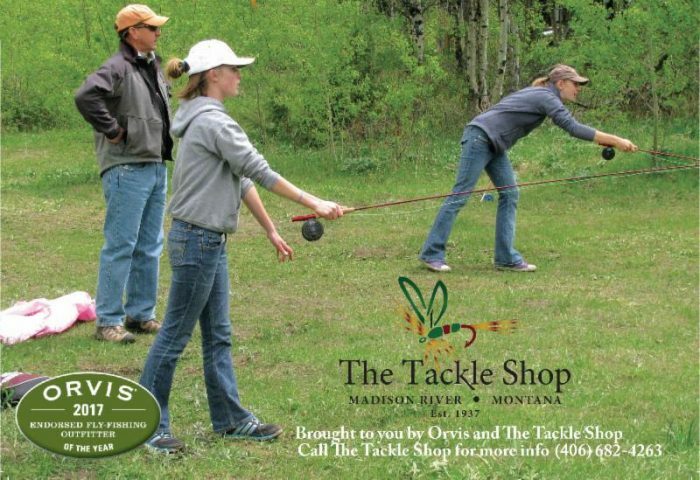 FREE Fly Fishing Lessons from The Tackle Shop! 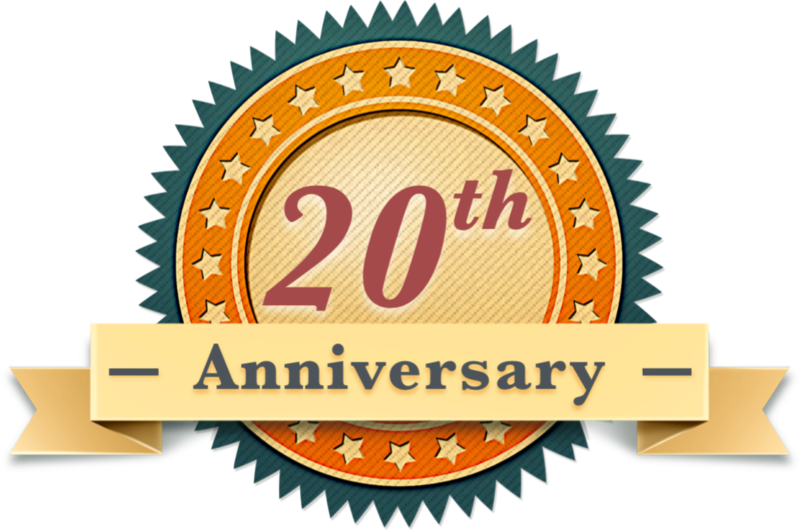 If you are interested in learning how to fly fish, let The Tackle Shop in Ennis show you the basics for FREE! 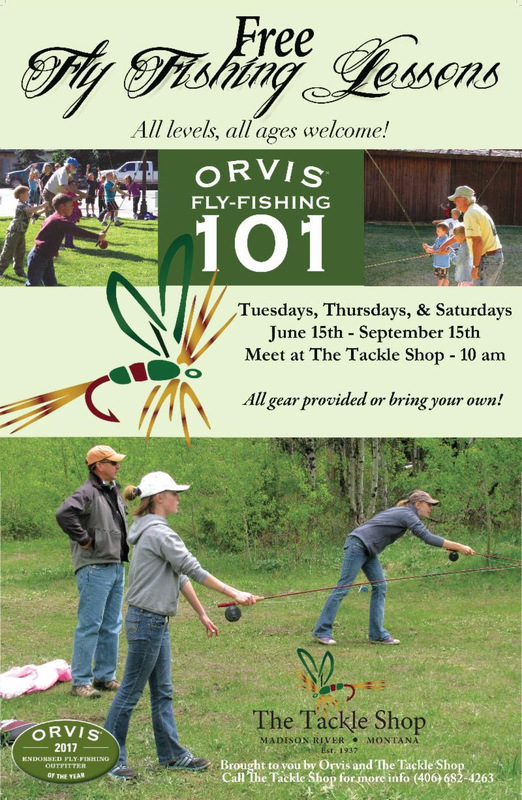 Now through September 15th, three days a week, Tuesdays, Thursdays and Saturdays, The Tackle Shop is hosting Fly Fishing 101 at 10:00 a.m. Learn to cast, how to tie a few knots and what flies to use. You can bring your own gear or use theirs! Even cooler, if you can’t make one of their scheduled classes, they will set up a time that will fit your schedule.